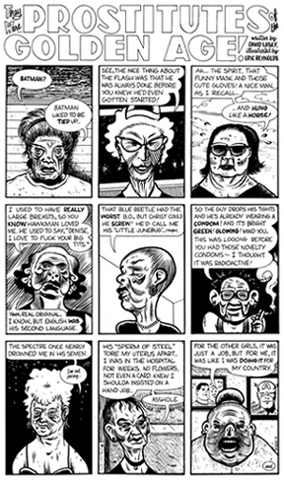 A one-page comic strip produced for Seattle's STRANGER newspaper, written by David Lasky and illustrated by Eric Reynolds. Original art measures approx. 10" x 17" on 14" x 18" white illustration board, in pen and ink.